This month I thought I’d share some of my most vivid Christmas memories. Those of you who know me and my family will not be surprised that most of them are a little twisted. Hey, we have a good time, that’s all I can say! 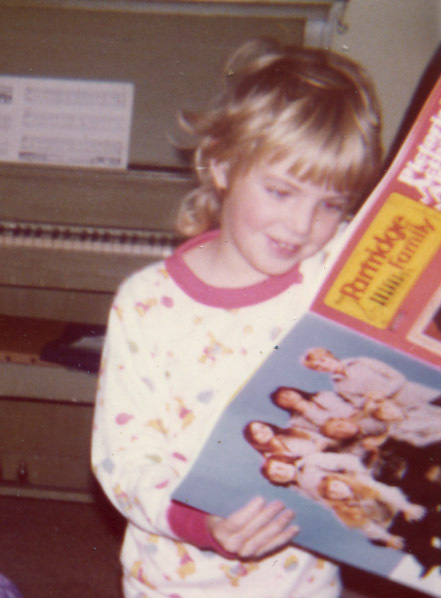 It was the Christmas of 1975 (if memory serves me right). I was nine and my sister was five. Mom and dad had put us to bed early but we were too hopped up on the excitement of Christmas to sleep. Of course, we eventually fell asleep but awakened before dawn. It was around 5 a.m. and the house was quiet. It never occurred to either one of us to wake our parents. Not that it would have done any good. My mom’s ability to sleep through things is legendary. We did what any child would do when they can’t wait to see what Santa brought – we got up and raided the tree. By the time our poor parents crawled out of bed, we’d played with everything and weren’t quite as wound up as we had been at 5 a.m. It would be our last Christmas Eve at home. Next year, a new tradition was born where we would spend the night at our grandparents’ house and drive over to our home on Christmas morning. The rule was that we weren’t allowed to wake anyone up before 7 a.m. By the time we arrived at home, mom and dad had some coffee in their systems and were ready to see our faces light up at what was under the tree. I actually loved riding across town on Christmas morning in my pjs. The city was so calm and peaceful. When we arrived at our house, the lights were on and the music was going. It was the perfect way to celebrate the day! I recall it was way earlier than 5 a.m.! And your dad and I had been up very late putting together Barbie’s ski Village which your sister just HAD to have – and rarely played with again! Well, I liked the Barbie Ski Village!